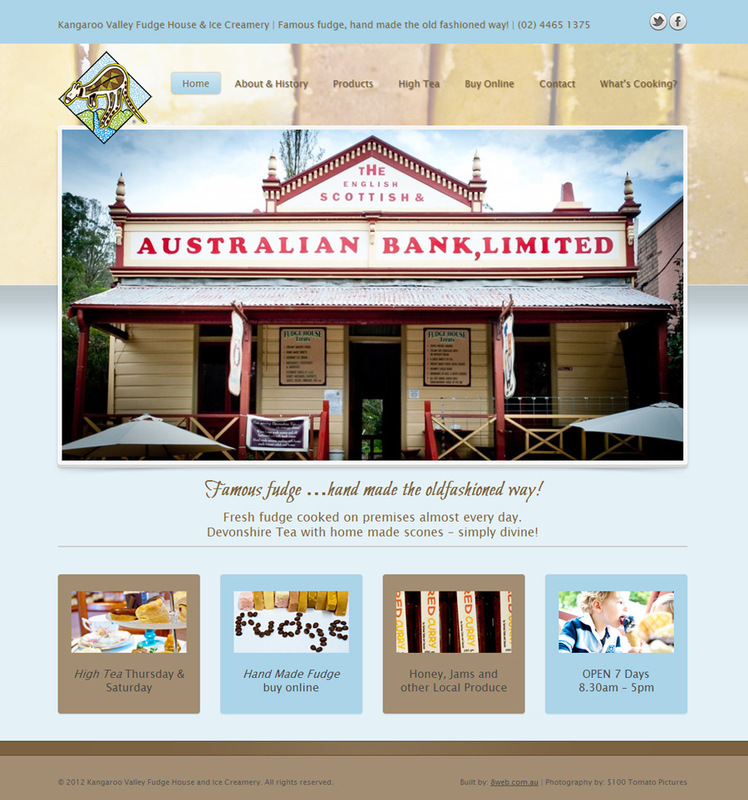 Kangaroo Valley Fudge House & Ice Creamery was one of our first clients. The work involved redesign and migration of current website to WordPress environment, photography as well as social media advice and management. The website includes a simple PayPal based shopping cart that is easy for the client to manage. Our relationship continues with providing 8WEB hosting services and also advice and support on social media and website maintenance. Such an amazing team to work with! A fantastic website. WE LOVE IT!